Laurie Huston from News the Heart is talking with physicist Tom Campbell on Finding Peace through ‘liking yourself’. We begin this discussion talking about how finding Peace can only be done in the Now Moment and the problem is that we don’t like ourselves so BEing in the moment becomes problematic. We mostly live in the past and our fears were programmed by the age of 7. Loving ourselves is construed as narcissistic, when what we want is to “like our self” which is about ‘accepting’ who we are and BEing that. Mostly we are trying to BE someone else, someone that we like and hopefully feel others will like. So, what we need to do is discover who we really are and establish if we can like that? We can only change once we know who we are and we can change this through our intention to BE a better person. However, first we need to accept who we are right now and the fears we picked up by believing we are inadequate. The more conscious you are of your fears, the more you have the option to make better choices and BEcome Love. Taking responsibility for how we choose is knowing our intentions and motivations so we can make conscious choices. Remember we are here to Grow towards Love not stay stuck in our fears! Join us for this fascinating discussion! We’re Getting to the Heart of what Matters! 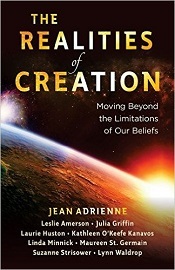 Our book “Realities of Creation” that I co-authored looks fantastic and my chapter is on the Power of the Heart! Purchase your book today! It makes for a lovely gift, with 9 Powerful women offering a toolbox filled with ideas to help us move beyond our pre-conceived notions and limiting beliefs. Each reader can take a little from each of the contributors and craft the method of conscious creation that best works for you―with consistency, ease, and grace! Buy Yours Today! The airwaves are getting a little intense for some people as we prepare for Mercury retrograde. Mercury entered into its pre-shadow on November 15th. It will station retrograde on December 3rd until it stations direct on December 22nd. This is quite a synchronistic event for the year. I did the numerology for 2017 which is 10/1, and then compared that to the Major Arcana in the Tarot. The #10 Card is The Wheel of Fortune which is ruled by the planet Jupiter. The #1 card is The Magician which is ruled by the planet Mercury. Jupiter’s Ruling sign is Sagittarius and Mercury is ruled by the signs of Gemini and Virgo. As some of you may be aware, Gemini and Sagittarius are opposite each other on the zodiac wheel, so they mirror each other. Now I have mentioned in prior newsletters, that Jupiter (#10 The Wheel of Fortune) shifted into the sign of Scorpio (death, transformation & rebirth) on October (10th month) 10th (day) in 2017 (10/1 year). Remember Jupiter (growth, expansion, and wealth) is activating intense change (Scorpio) for everyone. On December 3rd, Mercury is stationing retrograde at the anaretic 29th degree of Sagittarius 18 minutes. When any planet is at 29 degrees of any sign, it pushes us into making decisions that can make or break us. This might push you into blindly jumping into an agonizing decision. There is a vibration of ‘completion’ with this energy. What do you need to complete in regards to your thought process? Also on December 3rd, we experience the Full Moon in Gemini, placing emphasis on the Mercury retrograde and what you need to finish up! This has one on a quest for independence when that independence is being challenged. One needs to liquidate the past and this Full Moon shows the path to liquidation! Want to read more? Go Here! Have a Happy Wonderfully Magical Holiday! Laurie Huston from News the Heart is talking with physicist Tom Campbell on Holiday Magic and Worthiness. This conversation begins with us discussing that most of us have difficulties with worthiness and that it is a fear we collect from a very early age. Our Ego holds on to our fears and how we get really stuck if we get depressed around the Holidays. He helps us again to understand that our intentions help us to move forward and sometimes we just have to ‘do’ it, as in go to the Holiday events and be Open, instead of going into our fears and avoiding all interactions. The Holidays are all about family and connecting with others. Relationships all assist us to grow and in cases where there is a great deal of anxiety or depression (which Tom claims is just fear and a choice) then you need to see your fears and move through them. It is through our intention to Grow towards Love or just Grow Up that the larger consciousness system that will help us and we can come from a place of BEing instead of an intellectual understanding. The changes, may not happen over night, but if you are patient and willing to open yourself up to the Holidays and come from a place of Giving (not gifts but just BEing) we can find the courage to grow and actually have fun. A big part of our interview is on Giving and connecting with the Magic of the season. Worthiness is difficult but it is just a fear we can overcome with courage and acknowledgment that it exists. Remember we are here to Grow towards Love not stay stuck in our fears! Join us for this fascinating discussion! We’re Getting to the Heart of what Matters! News for the Heart talks with Tom Campbell on the Holiday Spirit! Laurie Huston from News the Heart is talking with physicist Tom Campbell on the Holiday Spirit and BEing Love. This is a deep conversation about how we connect in Relationships over the Holiday Season. It is always about Choice, however our fears are often unconscious. 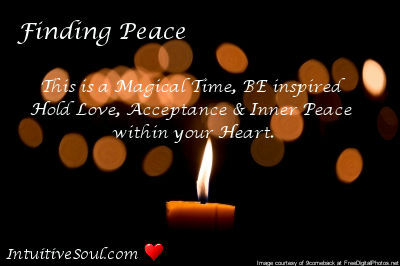 We discuss how to cultivate the ‘magic’ we feel during this season to extend into all areas of our lives everyday. We discuss how to shift our perceptions when we are feeling triggered by others, back to ourselves instead of trying to change them. The whole point of this physical reality is to make choices and to evolve the quality of our consciousness towards love through making ‘loving & caring decisions’; choices about others not just yourself and this is amplified during the Loving and Caring Season. See when the issues are ours, find something you’re Grateful for when it is the person we are with or just actively listen to them and compliment them about something as this will shift their energy completely. While we are actively listening, observe your own responses that you have in the conversation, authentically look at how our fears continue to add to our story and keep us from evolving in a loving inner BEingness. When your story comes up, your judgments or fears observe this and see how you contribute to the problem. We shared that when we are focused on our fears, our story, it is all about ME and our Ego; it’s all about ME! And that’s the problem, as long as you stay unconscious of our fears, we will continue to choose our fears. However, if you can become conscious of your choices you will get an opportunity to make another choice, one of Love! Join us for this fascinating discussion! We’re Getting to the Heart of what Matters! I want to wish everyone a Magical Holiday Season! As some of you are aware my good friend Jean Adrienne had a near-death experience that came from a life altering accident. From this experience she learned detachment and Gratitude. This is why my message this Holiday Season is about Capturing the Christmas Spirit In the Magic of the Holidays! Gratitude is all about connecting into the Spirit of the Holidays, the innocence of our childhood and BEing Open to the Miracles in our lives (big or small). I am Grateful for all of YOU! This is a big month astrologically speaking, Nancy Arruda and I discussed the events in our last show, the one I want to draw attention to is Mercury Retrograde as it will impact your Christmas Shopping and New Years Eve plans. Ensure you double check anything electronically done as Mercury is the trickster with anything electronic! More below. December, a time to connect with family as we embrace the spirit of giving and enjoy the festivities! This particular December is packed full with astrological activity. Such as; Chiron stationing direct on December 1st, allowing all of us to embrace their healing journey with HOPE! Hope that comes from a place of innocence which stimulates feelings of warmth at the heart center. The Full Moon in Gemini on December 3rd allows you to acknowledge the changes within your creative imagination. I am mentioning the Full Moon in Gemini because Gemini’s ruling planet, Mercury will be stationing retrograde on December 19th. (It will be retrograde until January 8th, 2017). This retrograde cycle is asking everyone to PLAY MORE, to be ACTIVE and see where your creative vs logical thoughts require a re-alignment. The pre shadow starts on December 1st and the post shadow last until Jan 27. So be aware of miscommunications. If you notice, you are wrong, then make sure that you can correct yourself according! Saying “sorry” can go a long way! Saturn in Sagittarius will trine Uranus in Aries on December 24th allowing individuals to infuse taking responsibility with any new and exciting projects or concepts. This aspect allows for a breakthrough in your life as you explore new interests that arise. This aspect will return again on May 19th and November 11, 2017. Changes are necessary when Jupiter in Libra opposes Uranus in Aries on December 26th. The change can be sudden and dramatic or it can simply be a break in your routine. With the activation of this Aries / Libra polarity relationships are highlighted. If you are noticing a breakdown in your relationships, career or way of life, then take some time to ponder on what you desire to create a new. Do not hold onto the old way of being, but rather, embrace the change the universe is imposing upon you. This aspect will return again on March 2 and September 28th, 2017 . Saturn in Sagittarius square Chiron in Pisces on December 28 activates the need to let go of emotional patterns which holds back your true self. 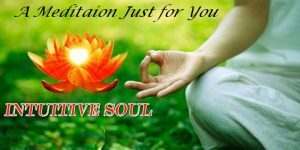 Know that this is a sensitive time, and it is best to use this time with introspection. Take some time to ponder on the past. You will have the opportunity to expand your understanding of the past, so that you can move forward with wisdom and new insight into what you need to heal on a spiritual level (which can vibrate down into the mental, emotional, and physical layers of BEing). This aspect returns again on April 30 and November 2, 2017. We close the year with the New Moon in Capricorn on December 29th, as well as, Uranus stationing Direct on that day a few hours after the New Moon. The New Moon offers the perfect setting for setting your intentions for 2017! With mercury currently retrograde in the sign of Capricorn, keep your intentions some what open to change. Focus on what you desire to build in your life! Focus on the foundation in which you desire to build upon. Be open to changes transpiring within these intentions as Uranus is activating the surge of the unpredictable into your formula. There is interplay of yin and yang taking place and the desire is to have both sides of the energy find an appropriate balance. Non-action vs action. Introspection vs sharing your ideas or growth, power vs force! Victory happens when balance is attained. Enjoy the remainder of 2016! As we come into the Holiday Season, which is always a Magical time for me, I want to offer a way for us all to BE Grateful for all that we have. October was a very challenging month for me and November allowed me to uncover new ways and new perspectives to come into alignment with my Health and Well-Being. I am feeling better than I have in years and my energy and health have improved significantly. What changed? Well despite two mega doses of antibiotics and some natural health supplements to super charge my immune system perhaps what changed is that we are in the end of the nine year cycle (As previously discussed, 2016 is a 9 year in numerology and after Sept 9th [9-9-9] to Jan 1st, 2017 [1-1-1] when we begin a new cycle we will be releasing a lot of ‘things’ that are no longer necessary in our lives; from people to beliefs.) and I believe that cycle is what has been holding me in a certain pattern that is finally ready to be released. And in this ‘feeling good’ phase of my life I now feel like I have outgrown the limiting aspect of this cycle! So, I have a lot to be Grateful for! I felt this quote was especially pertinent to all that is going on this last month and how we can take time this Holiday Season to take care of Our House and not project our fears, anxiety and anger onto our friends and family. The holidays can be particularly stressful for many people and emotions come up. And these emotions come up for us during the Holidays are often triggered by something related to what occurred during the first seven years of our lives. With the added anxieties that many are experiencing – especially in this season – we have an opportunity to ‘Remember the Magic’ and be in charge of how we want to BE and how we want to respond instead of directing the fire outside of us! Taking responsibility for our reactions and emotional fears is something that isn’t always easy and is something that we would rather blame on someone else. These reactions and fears are the triggers that our egos would rather not deal with nor take responsibility for. Holidays often dredge up some of our worst fears and reactions – our disappointments, feeling alone, feeling unsupported, sensing unexpressed anger and sadness – that we often don’t acknowledge as they lie deep below the surface of our unconscious until triggered. Our families often take the brunt of these reactions. However, this time of the year has another energy available to us. 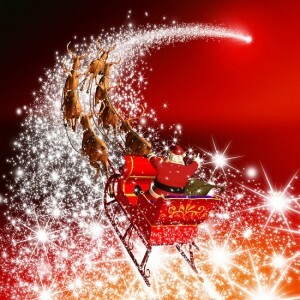 It is the Magical Beauty of Giving and Loving, the True Spirit of Christmas. I like to remind my listeners and readers every year that the Magic of the Holiday season is beautifully powerful. It exists because of the underlying energy available around unconditional giving and sharing. It exists because of the saying that is so prevalent everywhere: “Peace on Earth and Good Will towards Men”. I prefer to believe the use of ‘Men’ is a general statement that doesn’t reflect which gender we are and that this statement offers a Blessing for everyone. This Blessing forwards a prayer into the world that is sacred to those we love as well as to the planet and reflects an energy that we can tap into. Gratitude and the Magic of the Holidays are similar energies that we can tap into if we remember and uncover the child-like innocence of our youth. 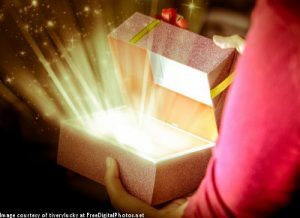 When we can find the ‘gift’ in all our experiences and the Higher Purpose that is always present – or accept that there is a ‘higher purpose’ even when we can’t see it – we can tap into Gratitude and further the Magical energy of Unconditional Love and Sharing in the Holiday Season. When we can tap into the child-like exuberance of the innocence of our youth before love became conditional we experience similar energies. To me it is about finding your inspiration. I’m often inspired by magical movies like Harry Potter (the first three movies before the series became darker), Fantastic Beasts, and Christmas themed movies (any time of the year). I’m equally inspired by the magical remembrance of a first kiss and falling in love or the love of a pet. Pets to me are very special. If you have never experienced the unconditional love of a pet before I would recommend it. I encourage you to find your inspiration and Remember the Magic of the Holidays while BEing Grateful for all that is YOU. And remember that you can Share Unconditionally this Love and Gratitude from within to all that is outside you. 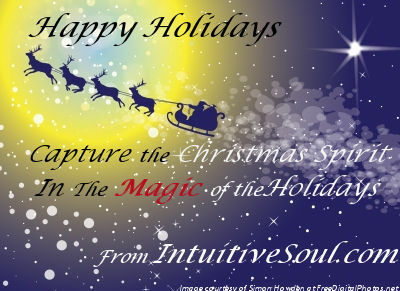 I wish you all the Happiest Holiday Season, full of Magic and Gratitude! Dec Newsletter 2015: Holiday Magic! Can you believe it is Dec? Happy Holidays to everyone! I get so excited this time of the year and busy thinking about next year. What changes I’ll make. I’m not crazy about the winter or the shorter daylight hours… but for a few weeks, I get caught up in the Magic of the Holidays! Winter Solstice is a time to review and wind down and to celebrate the return of the light… the Holidays is a time to celebrate with family and friends. The cold reminds us to be careful. And we can all take a moment and reflect and be Grateful for all the Gifts we have and Are! Let’s be generous and share in the Magical energy that exists during this enchanting time with everyone including ourselves! Jean Adrienne and I are continuing our Heart-Centered Support Group and it has been a lot of fun! It includes 4 calls each month for a low price of only $50 per month or if you sign up for 3 months you can continue the low price of $44 per month. Please join us, it will be a great Support to our Spiritual Evolution! For more information or to join now GO HERE! The year is almost complete as we enter into the final calendar month of 2015! How have you been working with the 8 vibration of this year? Has success stared you in the face? Did you achieve it or are you still working towards it? November turned out to be a bit trickier then I originally imagined, go figure, Neptune stationing direct had me in the clouds of confusion there for a while. I am opening more than an eye with the lack of outer to outer planet interactions; I am now looking to the inner to outer planet interactions and scoping the field for some unexpected activity. As I look to the astrology of December, there are a few things that jump out at me. At the beginning of the month we are asked to keep an open mind, you never know what direction your thoughts can take you in! Venus enters into the sign of Scorpio (Dec 4) igniting passionate relationships. Are there any relationships you need to release? Mercury gives your mind focus once it steps into the sign of Capricorn (Dec 9). All of that seems pretty smooth, but lurking in the shadows is Mars in Libra opposite Uranus in Aries (Dec 10). There is an explosive energy in the air, activating a fire within the self. Of course, these interactions are taking place with other people; so if at all possible, disengage from the chaos that stirs around you. Walk away from the fire. Know that once everything has burned, rebirth will transpire. Uranus is slowing down, as it will be stationing direct Dec 25th. So it may seem like a difficult process as there is this lingering vibration that one cannot seem to shake. What is Uranus direct asking of us? He is asking us to go inwards. To withdrawal from the chaos that surrounds you. It is within the self that you will find the freedom you are searching for. It is within that you will find understanding to the chaos that surrounds you. Mind you between the 10th and the 25th one must remember to keep an open mind as perspectives are changing. The Sun shifts into the sign of Capricorn (Dec 21), activating the Winter Solstice a time of hibernation and withdrawal. (Yes, two different request of withdrawal, retreat and seek within this winter). Open up your mind, open up your heart and allow that openness to draw you inwards into exploration of your truest essence. It is time to awaken to your authentic nature. Are you ready to discover who you are? The end of December has you investigating this on an internal level. EnJOY the exploration!! Our next show will be recorded Dec 30th and aired for the 1st. It will be about 2016! 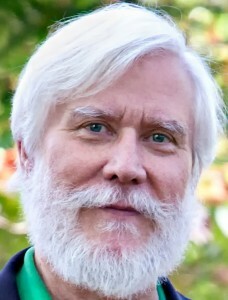 On Dec 3rd at 4pm EST, I will be a co-host with Jean Adrienne on her show Power Talk on www.healthylife.net. It’s live so call in on 800-555-5453! We are on every first Thurs of the month! Each year I share with you my message that I have always felt passionate about ‘the Magic of the Holidays’. And this year I’ve reviewed my blogs that go back to 2005 (LOL) to find some of the thoughts that have inspired me in the hopes that this will also inspire you to ‘remember this magic’. I have gone through and encompassed some of the best I have shared over the years and added some thoughts that reflect my current thinking and feeling about this ‘magic’. I also had a great conversation with Tom Campbell and offered some tips to grow towards love through this Holiday season (listen or watch here). The ‘Magic of the Holidays’ is the incredible compassion that exists at this time of the year. When we are truly in the Magic of the Moment we are giving from the heart with no expectations. We feel washed over with joy – in just being. At the same time we remain authentic to ourselves and do not compromise who we are. The ‘magic’ has nothing to do with gifts or how this time of year is typically monetized. 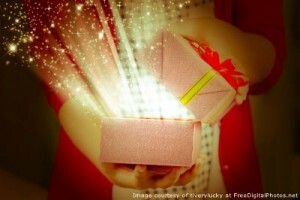 It isn’t about whether or not we can find the perfect gift. In fact my new favorite quote is “the magic of the season isn’t given it’s found”. I came across these thoughtful words in one of the many Christmas movies I have watched in the past week but I’m sorry that I can’t recall the actual source. And the ‘magic’ isn’t ‘me-based’ and ‘what you can do for me’ which is how many people create expectation around the Holidays. It isn’t based on expectations at all. We often dread the Holidays because we want to change others to BE nicer and to see the problems with our dysfunctional relatives as being outside of ourselves and not able to touch us. The ‘magic’ I refer to is within us. The ‘magic’ is remembering the excitement we had as children and the innocence we had at exploring new ventures and awaiting what new adventures were right around the corner. ”VIRGINIA, your little friends are wrong. They have been affected by the skepticism of a skeptical age. They do not believe except [what] they see. They think that nothing can be which is not comprehensible by their little minds. All minds, Virginia, whether they be men’s or children’s, are little. In this great universe of ours man is a mere insect, an ant, in his intellect, as compared with the boundless world about him, as measured by the intelligence capable of grasping the whole of truth and knowledge. How interesting that the message really needn’t change! The ‘Magic’ is the love, compassion, and generosity that exists – especially at this time of the year. It has the power to open our hearts so completely that we wonder how we have ever loved in the past. However, to experience this we must move beyond our minds, our fears and pain, our egos… to a place that exists within all of us. That magic is the same piece of Divinity that is Source. It is our Home. It is what makes us all one. We have to nurture this Magic that exists in all of us or else we dull its magnificence. We dull it each time we are disappointed by the fear, pain and control that overtakes our lives. We dull it every time we give our fears more power than the “magic” within us and our lives. That is the message I encourage you to embrace. 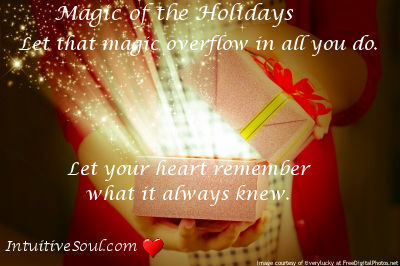 To know, to remember, that the magic exists, we just have to hold it within our hearts. This time of year that magic is strongest and we can touch upon it… remember it… and we can rejoice that we have a touch of the Great Mystery within each of us. Let that magic overflow in all you do. Let your heart remember what it always knew. Find your way to let the Magic nurture and foster your Divine Essence. And let that Essence flow out into your life, at this time of the year and every day of your life. Remember the feeling of this Magic of the Holidays and make a promise to yourself to create Moments of Magic this holiday season! And you will be a part of the true spirit of the Holidays!